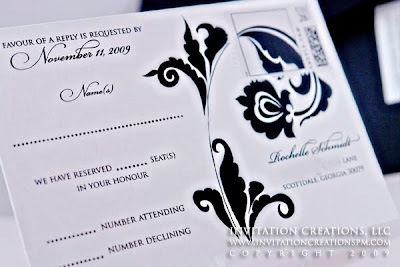 This is an invitation designed last year, but as I mentioned, I'm trying to catch up on my blogging! 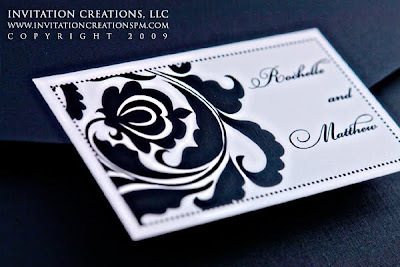 Rochelle wanted a black and white invitation. Typically I work with a lot of color on my invitations so this would actually be a first for me and a little bit of a challenge. 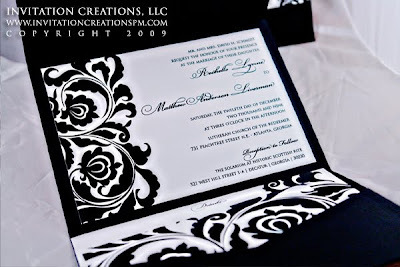 She really liked the damask look and so that is what we went for. She wanted classic with a little bit of a modern feel. Voila! 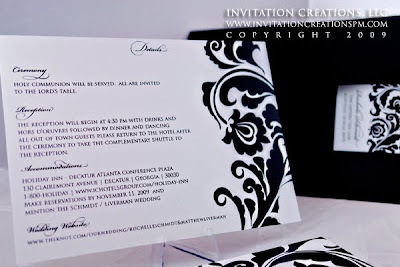 another benefit of a black and white invitation is that printing would be more economical than color. Each of the inserts had a piece of the graphic. The envelope and postcard are one of my favorites. 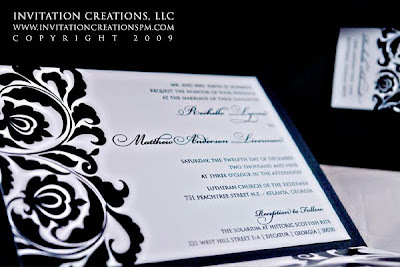 The postcard is double-sided and and we incorporated a custom stamp to complete the look. 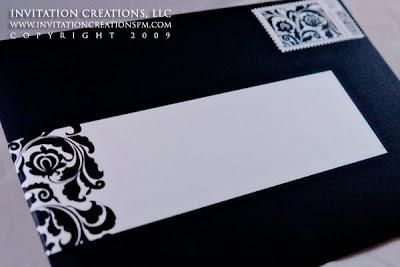 The outer envelope has a custom label and a custom stamp. I left the labels blank for the calligrapher but I thought they turned out wonderful!! The return address is printed on the other side of this custom label. I love how it looks! 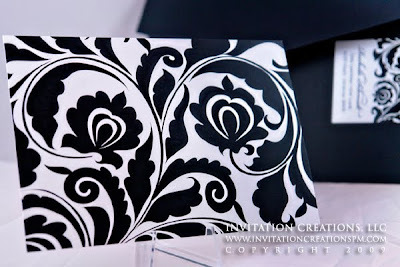 !I think it turned out to be a very elegant black and white invitation!